We feature an extensive range of fabrics and leathers to suit any taste. There are many types of fabrics to choose from textured plains, small patterns and florals to dogtooth and tapestry styles in a variety of colourways. Each upholstered chair and sofa details page has their fabric or leather in ‘Available Options’ on the right hand side of your screen, click on ‘Fabric & Leather Options’ and the fabrics images will open up, as you hover your mouse the fabric will enlarge where the main image is shown. Enjoy browsing. Our Old Charm ‘dining swatch’ includes a variety of fabric styles from traditional tapestries but also provides plainer options. There is a large selection to choose from, and you are sure to find a fabric which complements your chosen of wood colour and finish. 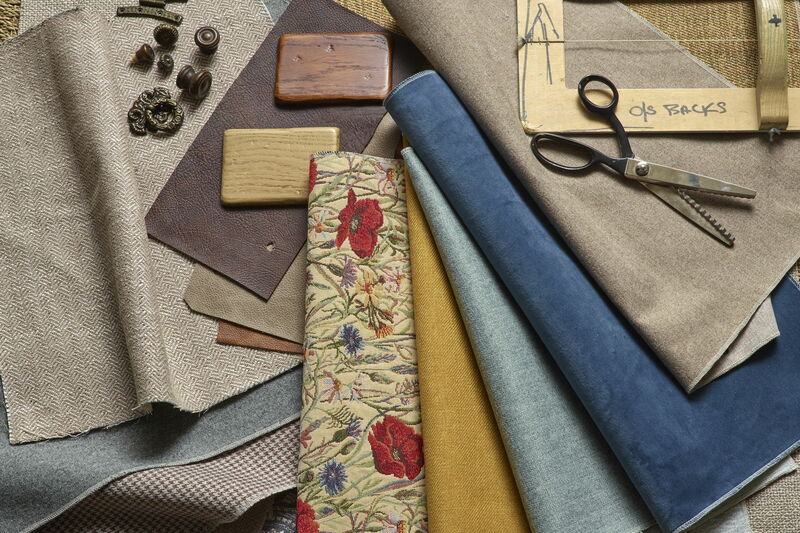 Our sales team can provide fabric/leather or wood samples to send to your home. Please note that some Old Charm dining chairs are not available in all of the fabrics; marked * below. Chatsworth is available in a selection of dining fabrics, chosen to complement the finishes, flaxen and fumed oak. All fabrics and leathers are fire retardant. We recommend cleaning by a professional dry cleaners only. Our Sofa Collection fabric swatch is selected to complement the many wood colour finishes we offer. Please contact our Sales Team if you require any samples. Wood Bros Furniture and Moon Furnishings are collaborating together and providing pure wool fabrics on our Sofa collections. In addition new to our Upholstery selection: Wood Bros Furniture and upholstery Harris Tweed are collaborating together and providing pure wool fabrics on our Sofa collections. All fabrics and leathers are fire retardant. We recommend professional cleaning only on our fabrics to keep the quality. Our sofas come with many options. You can purchase the cushions in a different fabric from the main body as long as it is within the sofa swatch. Also, we offer combinations of fabric and leather sofas, please contact us for more details. Samples are available to order for free online. 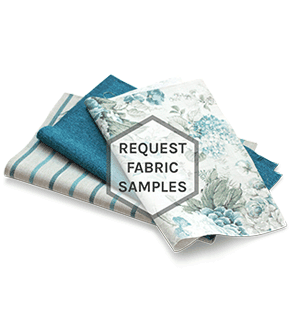 A maximum of x5 wood and/or fabric samples can be requested at a time. We are happy to use material of a customer’s own choosing on dining chairs and upholstery providing the fabric is suitable for the purpose and meets specific British Standards. For further information and how to take advantage of this service, please visit our Customer’s Own Material (COM) page.